Shopper transparent bag, beach bag, clear shoulder bag with jute rope clear handbag shopping tote bag oversized bag fringe bag tassels tassles waterproof tote, totes. Dimensions: 40 x 25 x 10 cm / 15,7 " x10" x 3,93"
Made of thick, crystalline, flexible PVC with jute rope. A large handbag city , type of shopper . The modern concept of boho style , oversize . Large transparent BAG with solid jute rope to my fascination with the universe transparent .You can complete your harmony as putting some compatible things with your daily dress into the transparent bag and you are ready to go! It's also good when going through airport security. 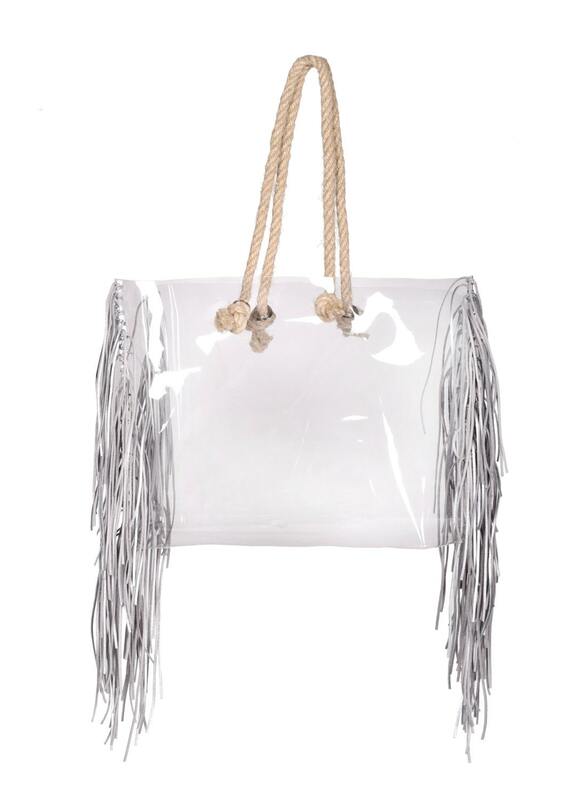 The bag is cut from high quality crystal PVC and real suede leader colorfull 200 of tassels !